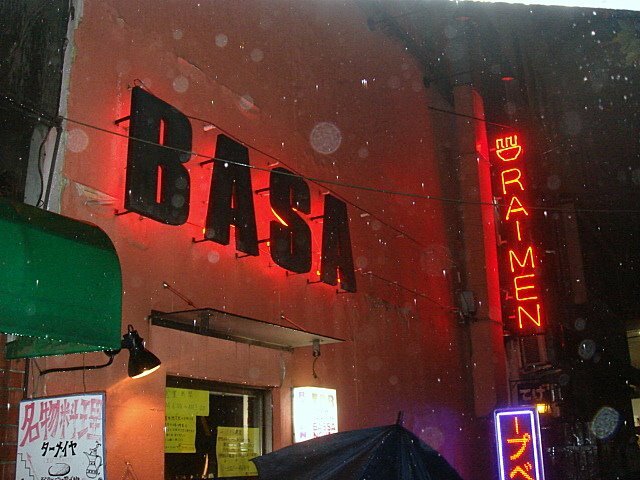 Bassanova is a clear favorite that has been moving up in its rank among the ramen faithful. If it wasn’t for Ivan we may have never known its greatness, and I do believe they can someday soon give Menya Kissou a run for its money. Green Curry Ramen: Are you kidding me?!! Green Curry Ramen? Are you kidding me! This stuff is crazy good!! I mean crazy good!!! Did you hear me? Wow!! I mean WOW!!! Seriously, it was darn good. 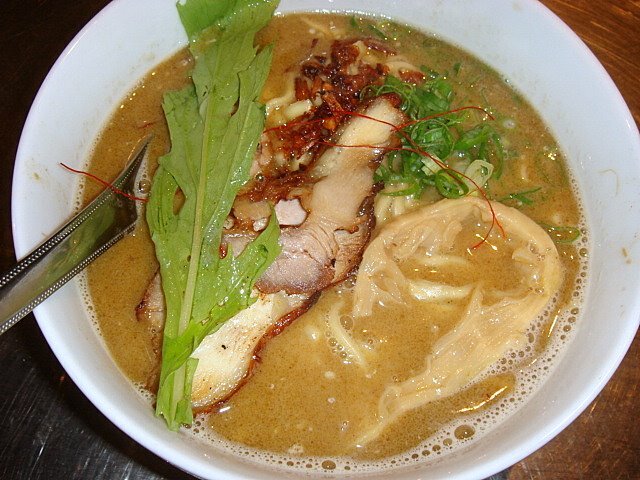 A ramen fused with Thai influence is peace and harmony mixed with creativity that is out of this world. The toppings (chashu, menma, negi, glazed scallions, mizuna) were unbelievably good. But honestly, anything added to this soup would taste great. 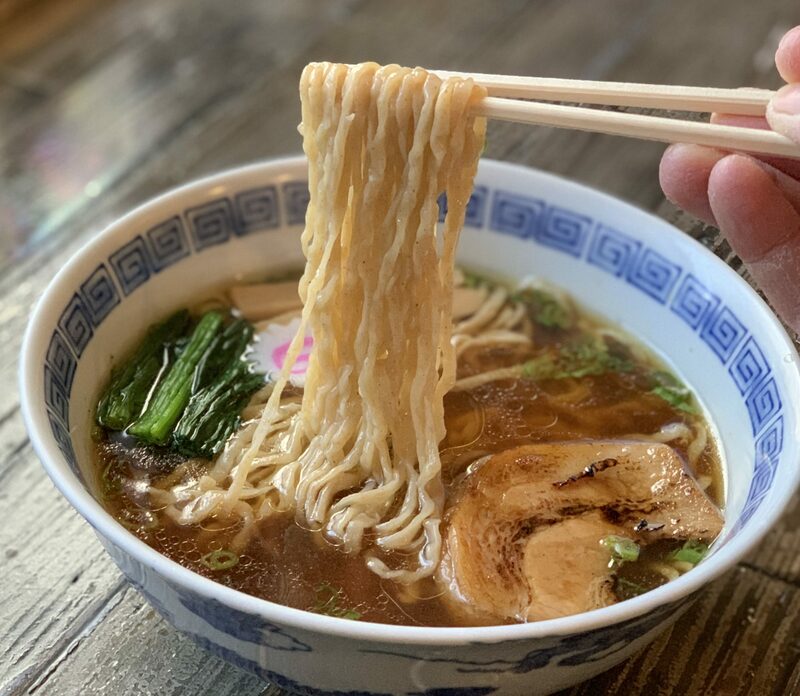 The noodles were thick and chewy with perfection surrounded by more perfection. 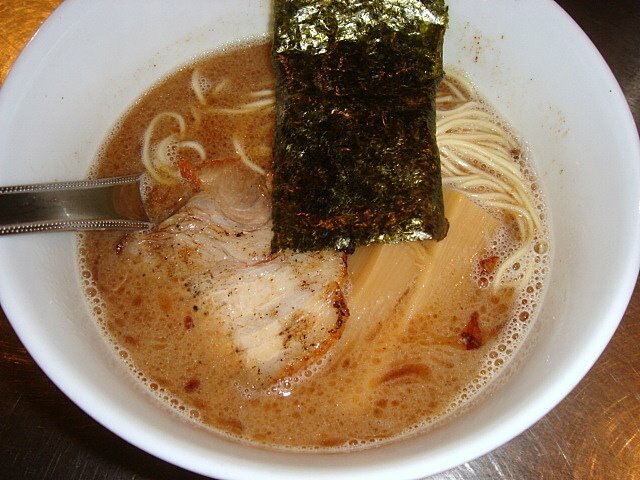 This ramen was incredible! I highly recommend it if you’re in the area. 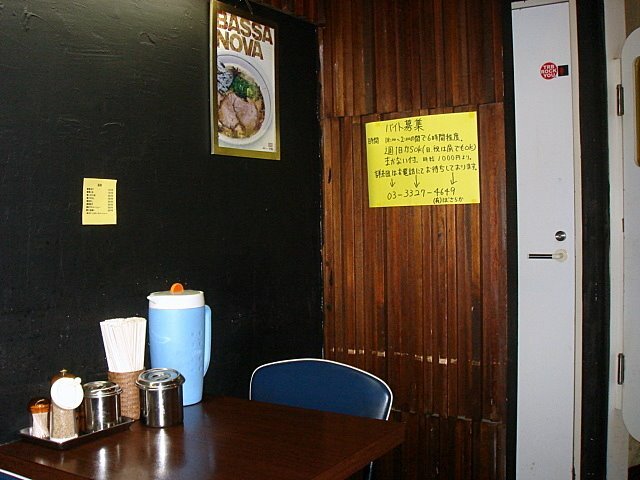 豚濁和出汁 Soba: The tondaku wadashi soba was also quite delicious, but Bassanova is all about the green curry. This ramen featured a thinner hakata style noodle with a delicate shoyu taste, but only order it after you’ve tried the green curry. As you can see below, it was raining really hard when we left. Bassanova was definitely worth getting drenched for. I would say that this is a must try if you’re in Tokyo. If you don’t like it, I’ll even personally reimburse you for your meal. Hi Ken, I’m not sure where you’ll be coming from but if you can somehow get on the Keio-Inokashira Line (starts in Shibuya) then take that to Shin-Daita station. Make sure you don’t get on the express train cuz you’ll pass it. Once you get to Shin-Daita station, head north on Kannana dori (the main street) and it’ll be on your left. 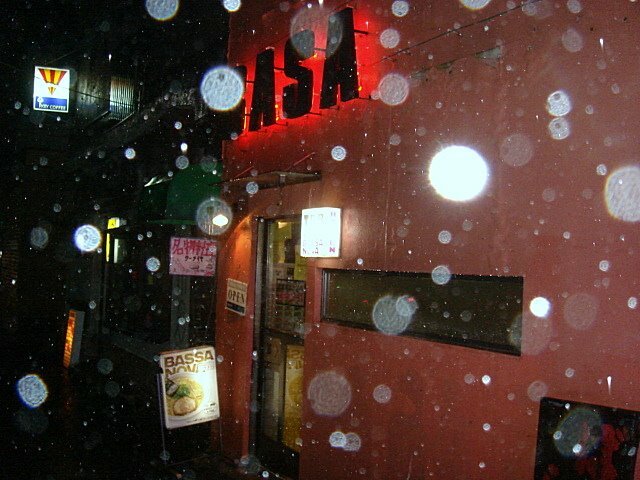 Just look for the big “BASA” on the wall with the neon signs. You can’t miss it. Btw, last I checked they were only open at night. Let me know what you think!